Holly Tree homes for sale are in a great subdivision of Simpsonville, South Carolina, just south of the Five Forks area off of Highway 14. This community is a golfers dream because of the 18-hole golf course that has been designed around Gilder Creek. This is a larger neighborhood that began taking shape in the late 1970’s and has continued growing steadily into a lovely neighborhood that has just over 400 homes today. This subdivision is aptly named in honor of the holly trees that grow is the surrounding area. This area also has lovely poplar trees and mature oaks in the forest grounds encompassing Holly Tree homes. Browse through Holly Tree homes for sale or read more about Holly Tree real estate. Residents here enjoy having a neighborhood with small town feel in addition to all the amenities of a city only a few miles away. Holly Tree properties come in a range of styles and sizes from 1,600 square foot ranches to 4,600 square foot executive homes. Driving along the calm curving streets of Holly Tree, you’ll often see many homes that have large symmetrical windows and pillars, long paved car parks and classic brick or side paneling exteriors. These traditionally styled homes are bungalow, split level or multilevel homes. 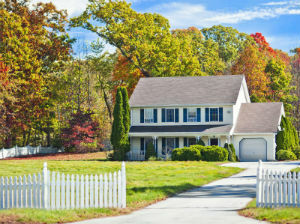 This neighborhood is in high demand because of the great amenities in Holly Tree. Great public schools like Bethel Elementary School, Hillcrest Middle School and Mauldin High School are available for youngsters. In addition to the golf course, the home owners association also gives you access to a great clubhouse, 25 m swimming pool, walking trails and tennis courts. If you’re looking for a fantastic golf community in Greenville County, look no further than Holly Tree! For more information about Holly Tree subdivision or questions about Simpsonville homes for sale, contact RE/MAX Moves today!